“He is a hero,” declared Khadim Hussain Rizvi, the leader of the new Islamist party Tehrik-e-Labaik Pakistan (TLP) and a prominent cleric affiliated with the Barelvi branch of Islam, referring to the murderer. In outlining his vision for governance during an interview with Reuters, the Islamist party leader vowed to end Pakistan’s corruption through stricter adherence to sharia, which refers to strict Islamic law that governs all aspects of a Muslim’s life. The TLP party is best known for its staunch support for the country’s strict blasphemy law, which mandates life imprisonment or the death sentence for those who are found guilty of insulting God, Islam, or religious leaders. The Tehrik-e-Labaik Pakistan party, which won more than 7,000 votes at a weekend by-election, was born out of a protest movement supporting Mumtaz Qadri, a bodyguard of the governor of Punjab province who gunned down his boss in 2011 over his call to reform strict blasphemy laws. Supporters of Tehreek-e-Labaik waved photos of Qadri, who became an icon for Muslim hardliners after his execution last year, at campaign rallies in the eastern city of Lahore, where it won 6 percent of the vote in a contest for the seat vacated by ousted former Prime Minister Nawaz Sharif. Lahore is the capital of Punjab, the most populous province in Pakistan. Qadri, who was executed in late February of this year for killing former Punjab Gov. Salman Taseer, drew between 3,000 and 4,000 of his supporters to rally in the streets in defiance of a ban on protests. Thousands of demonstrators reportedly chanted slogans declaring Pakistan an Islamist state and praising the man who killed Taseer after the governor enraged extremists in the country by proposing reforms to the anti-blasphemy law used to sentence Christian Asia Bibi, 46, to death. The killer is now revered by various hardline factions in Pakistan for his action, considered a righteous defense of Islam. “Tens of thousands thronged his [murderer] funeral last year to condemn [the deposed Pakistani PM] Sharif’s government for his hanging,” points out Reuters. Noting that his party finished in third-place in Sunday’s election, Rizvi revealed that he would focus on next year’s elections. Reuters acknowledges that the party has a slim chance of winning. While the party has almost no chance of gaining power next year, it is part of a new crop of political movements that espouse stricter Islamic rule as a remedy to corruption accusations and squabbling among Pakistan’s three main parties. A stronger showing for Islamists could give them more influence after the election, expected to be hard-fought after the Supreme Court barred Sharif from holding office. 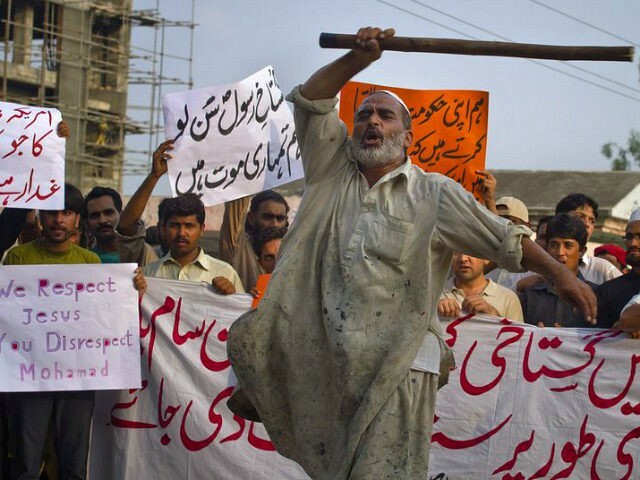 Pakistan’s blasphemy law is used to target members of the predominantly Muslim country’s religious minority community — primarily Christians — often resulting in unfair trials for the accused whose lives are hanging in the balance. While Pakistan has yet to carry out a blasphemy-related death sentence, various Islamic extremists have implemented their version of justice in the country where even unproven claims can stir beatings and mob violence. Authorities reportedly detain an estimated 100 people every year for allegedly committing blasphemy.